You get points by just confirming your profile. Not a lot, but a few. You want points quickly? Make witty and funny comments on the hot page memes and you'll start seeing your points go up rather quickly. Once you hit 1,000 points, you can meme comment and the more you meme comment on popular user's memes, the quicker you get points. Most of the top users will be quite helpful if you aren't on here to just troll them. It is a fun community if you play by the rules. The best way to get points is through the comments. The more you comment, the faster the points come from users upvoting them. Also, when you start, you get 2 submissions daily. Once you've established yourself here, you will start getting 3 subs a day. Awesome. So commenting on Raydog's memes will get me a lot of upvotes? Commenting on anyone's front page meme will get you more points. Raydog just happens to get to the front page a lot more often than the rest. 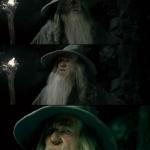 Right now, I am commenting on front page memes! 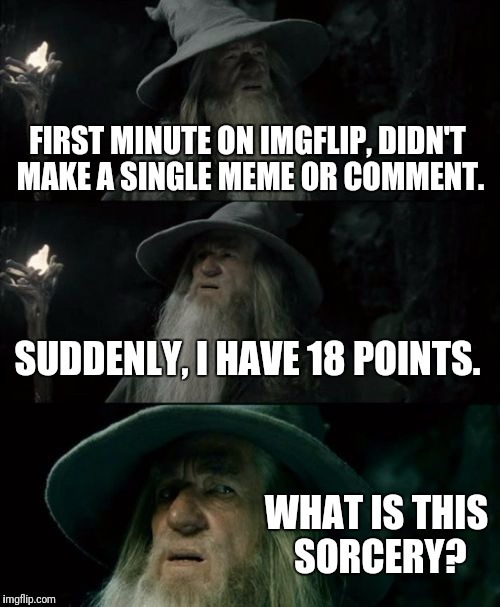 FIRST MINUTE ON IMGFLIP, DIDN'T MAKE A SINGLE MEME OR COMMENT. SUDDENLY, I HAVE 18 POINTS. WHAT IS THIS SORCERY?